The Town of Rossville passed an ordinance at their August 11, 2009 meeting that will limit the use of golf carts throughout the town. The Indiana State Legislature allowed such ordinances to be considered by towns and cities. The ordinance is specific to golf carts. Golf Carts are defined as a four-wheeled motor vehicle originally and specifically designed to transport people and golf clubs for the purpose of playing golf. Utility vehicles such as Gators, Mules, 4-Wheelers and others are not covered by the ordinance. These utility vehicles are not permitted on the streets within the Town of Rossville. There are specific requirements set forth for use of golf carts during the Summer’s End Festival and/or special event and for year round usage. Golf carts must be registered with the Town of Rossville. 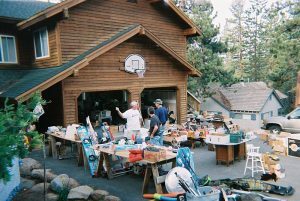 This registration shall expire on April 30th the following year and must be re-registered on or before May 1st annually. Golf cart drivers must be 18 years old or older with valid driver’s license. 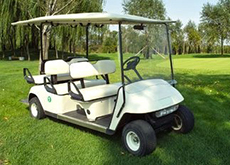 Golf carts for annual use must be equipped with headlights, front and rear turn signal lamps, tail lamps, stop lamps, and slow moving vehicle sign, and a rear-view mirror. The hours of operation may be from 5 a.m. until 11:00 p.m. on April 1 to October 31, and from 5:00 a.m. until 10:00 p.m. on November 1 until March 31. Golf carts registered for use during special events must display a slow moving vehicle sign and may operate during the hours of 7:00 a.m. through 9 p.m. Regulations other than lighting apply. A copy of the individual driver’s license and proof of insurance/financial responsibility in the amount not less than the minimum required by Indiana law for a motor vehicle are required at the time of registration. The proof of insurance must be carried on the golf cart at all times. The golf cart shall not be operated on sidewalks, on Highway 26, Highway 39/421 or in/on areas of the park not specifically designed for vehicle traffic. A person may cross the highway in a perpendicular manner. The golf cart must display a slow moving vehicle sign and must observe all rules of traffic, state laws, federal laws, and town ordinances. Golf carts shall be equipped with factory seating for all occupants, with only one person seated in each seat. Children under the age of three years shall not be permitted to ride on the golf cart.